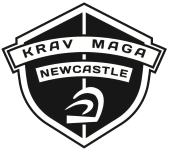 Krav Maga Newcastle provides professional training in authentic Israeli Krav Maga and Fitness, we are dedicated to bringing you the most up to date training and skills in cutting edge self Defence and Krav Maga in a friendly and welcoming training environment. We believe Krav Maga is for everybody and we actively encourage everyone to get involved in Krav maga, regardless of age or gender, there really is something for everyone. "A Positive, Friendly training environment"
Krav Maga Newcastle classes are renowned for warm welcomes, community spirit and a positive, rewarding training environment. You’ll fit right in, get fit and enjoy yourself, while learning some real self protection skills. It’s something you need to see for yourself – there’s nothing quite like it. For more information see the Class Timetable here.